With the Preview held on Wednesday 21st and the official start on Saturday 24th, A Celebration of People and Places is truly open. The Preview was a wonderful evening with a real buzz and very positive responses. It was especially good to see long-established members of the Club who are no longer regular attendees and whose work is featured in the archive section. We are getting excellent feedback, and it has been really encouraging to hear from Club members who have said how proud they are to be part of the exhibition. We also have very good coverage from the Chichester Post and Spirit FM, with Rob Campling and I enduring a press photo session and then I did a joint interview with Stephanie Thorndyke, the museum’s manager. I hope this will also give us good coverage for our other exhibitions throughout the year. The team at the museum have really done us proud, and it has been a real pleasure to work with them. I must also thank the other Club members who joined our very small but perfectly formed working party who drew the exhibition together from the Club’s side. That’s Kim Tattersall, Peter Rocchiccioli, John Howes and Dave Abbott. Special thanks are due to Dave for all his work on the archives and records which has given us so much detail of the Club’s history. It was purely coincidental that we received the print of Club members on a trip from 1896 earlier this summer and thanks to Dave we now know who most of them are, what they were doing and their roles in the Club. Dave will be building up the special section on the Club’s website with some of these stories. Still to come will be the community contributions the Novium is co-ordinating. 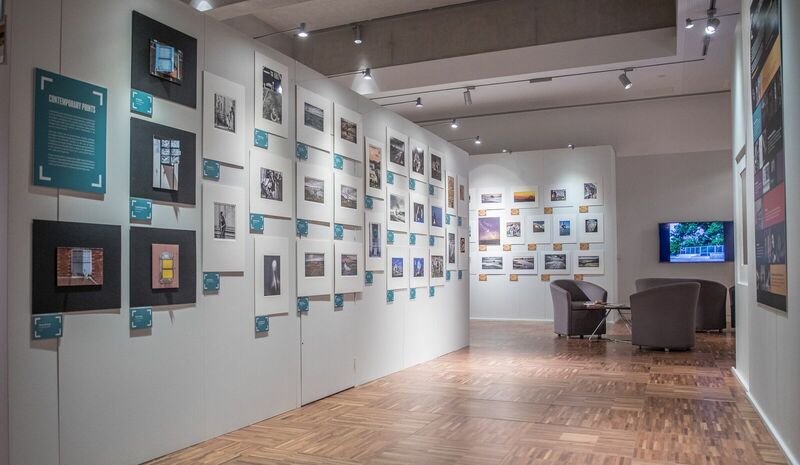 The exhibition runs until the 10th March – so plenty of time for several visits!